Oh but it’s hard getting back into the swing of things after the holidays, isn’t it? But what better way than to start as I mean to go on – in fabulousness. I tried this out at the end of last year, but hoarded it for a more auspicious moment and I do believe it has come. Ahhhh crème de cassis. I am a massive fan of the stuff, and if I’m feeling like I want a fancy drink when I’m out, I inevitably order a Kir or a Kir Royale. People look at you like you’re the bee’s knees, I promise! It’s ever so classy, the poshest of posh drinks (in my opinion anyway). 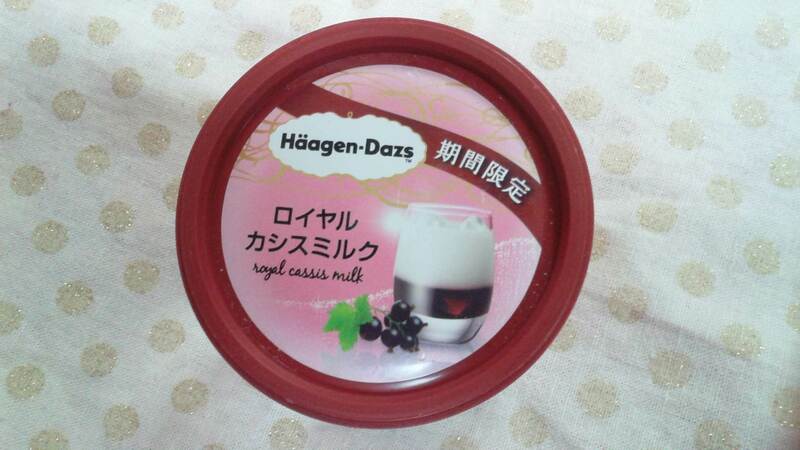 But Royal Cassis Milk? Not the most appetising of ice cream names. you must admit. Even the little drawing on the packing didn’t really inspire confidence. A glass of milk with crème de cassis swilling around at the bottom makes my stomach lurch a bit to be honest, and so, I very nearly didn’t try it. However, thoughts of you all kept me going! 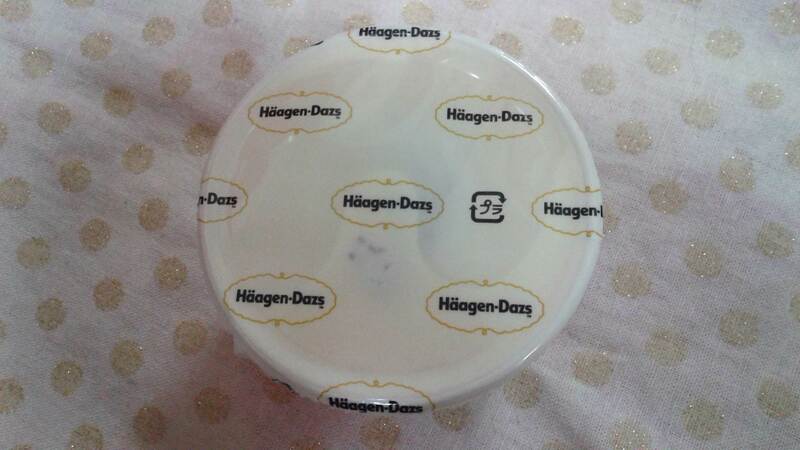 Once more I regretted how little faith I had in Häagen-Dazs Japan – shame on me. 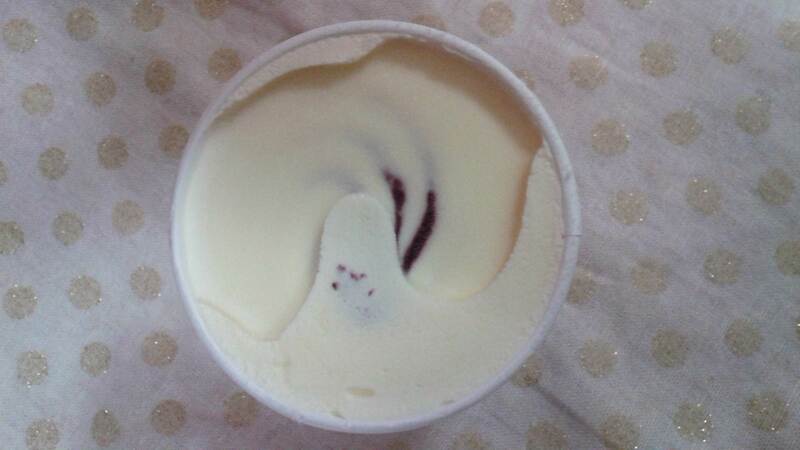 It was a beautiful, harmonious blend of ice cream and blackcurrant liqueur – in a word, perfection. You could really taste the cassis, and it really felt like they had just poured a bottle of it in while they were churning it. 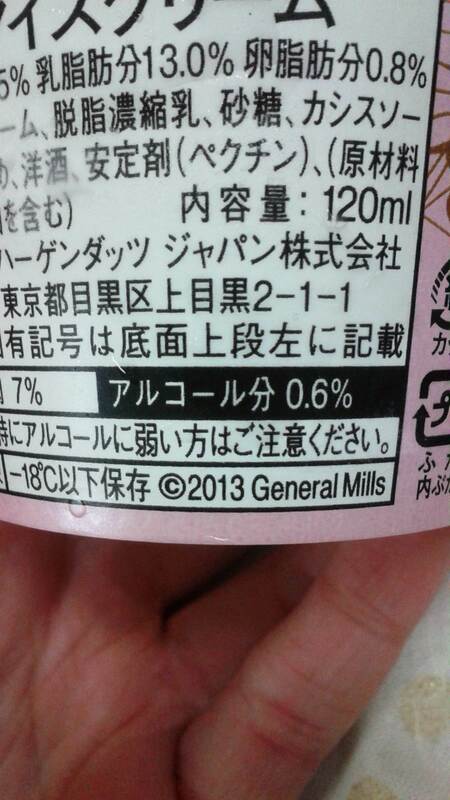 And when I looked at the ingredients list, I found that there was indeed a 0.6% alcohol content in my little tub of happiness. 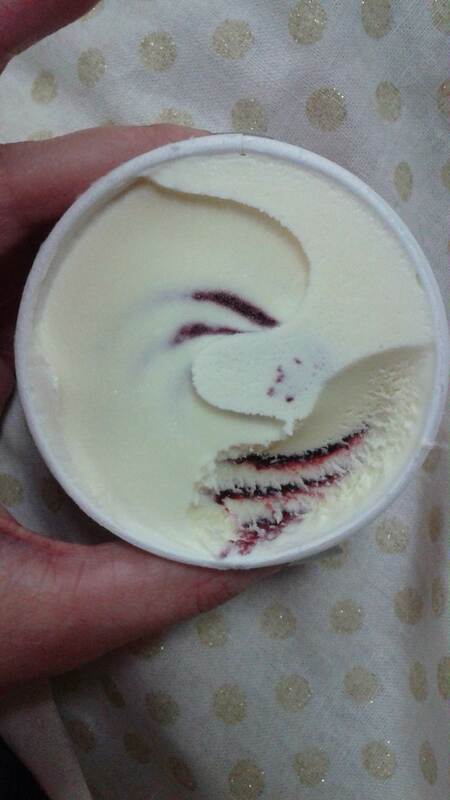 Truly lovely, naughty ice cream. I hope you have all had a wonderful start to 2014, and hope that this year brings you all you wish for and more: health, happiness, success, laughter and wonderful times with you family and friends. Have a beautiful week, darlings! omg this sounds amazing. Kir Royale in an ice cream!!! Waaaa! I follow you now via bloglovin… would be great if you follow back! I am LITERALLY going downstairs (2am) to get my Mackie’s from the freezer. Craving ice-cream now. Too cold to go to the local shop though. I’ll just dream about it instead! 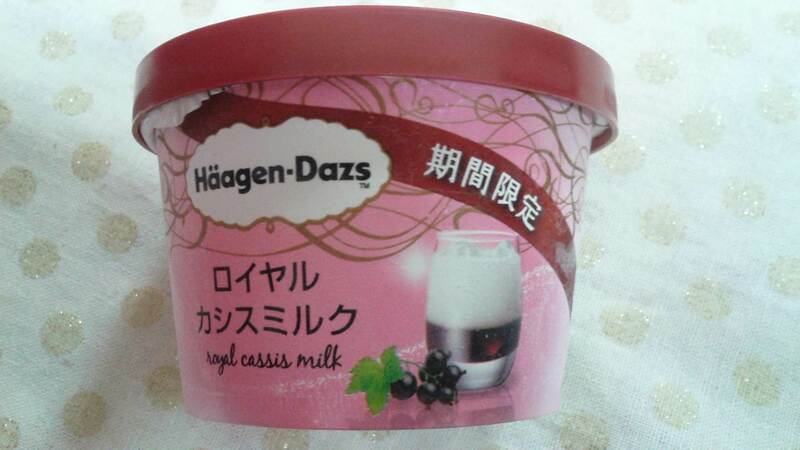 I can always count on your site to introduce us to the most interesting Haagen Dazs flavors in Japan. Always makes me envious, the Japanese supermarkets here totally need to start stocking them!